This German-style Hammered Kettle presented by Country Vintage Home features a painted wood handle & knob. 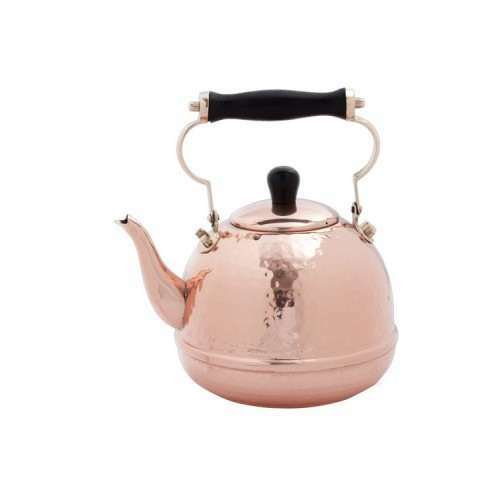 The Kettle is Solid Copper for a classic look that compliments traditional as well as modern kitchens. For use on all Gas and Electric stoves. Hammered finish for an elegant look. Classic look with wooden handle. Suitable for both gas and electric stoves. Generous 2 Qt. capacity for your favorite tea.